Judy has been involved in the local food movement since before many people cared about organic or local food. She began selling at the Dane County Farmers' Market in the 1980's selling woodland plants that would otherwise have been destroyed by logging. She got involved with the local food movement while working at the Wisconsin Rural Development Center, She married Bill in 1993 and joined forces with him in the hoop house business. Together they managed the Dane County Farmers' Market from 2001-2003, where they were integral in starting the winter market. Judy had a light bulb go off and realized that a breakfast served using vendor products would help to create awareness of locally grown products available in the winter months in WI. The winter farmers' market breakfast is still being held during the Winter Dane County Farmers' Market. She helped create Friends of the Dane County Farmers' Market, was a member of the Dane County Food Council for many years, and sat on the boards of the REAP Food Group, and Friends of the Dane County Farmers' Market She also authored the Dane County Farmers' Market email newsletter between 2002 and 2009. Her vision keeps Snug Haven moving forward. Many people know Bill by his witty remarks and "grown in real dirt" sign at the Farmers' Market. It's his outside-the-box thinking that brings a uniqueness to Snug Haven Farm. He know he wanted to be a farmer when...... He tried out his first hoop houses at his family's land in Dodgeville in 1989. He moved with Judy to Snug Haven in 1995 where they immediately started putting up hoop houses. He knew "frost sweetened spinach" would be a hit when a chef told him "you aren't charging me enough". Bill works tirelessly on spinach, tomatoes, arugula, joking around with customers, and his new venture, rolled oats. Danielle grew up spending summers exploring Snug Haven at the time her Grandparents ran it as a dairy farm. She received a degree in Rural Sociology at UW-Madison, and returned to her roots to work on the farm with her family. 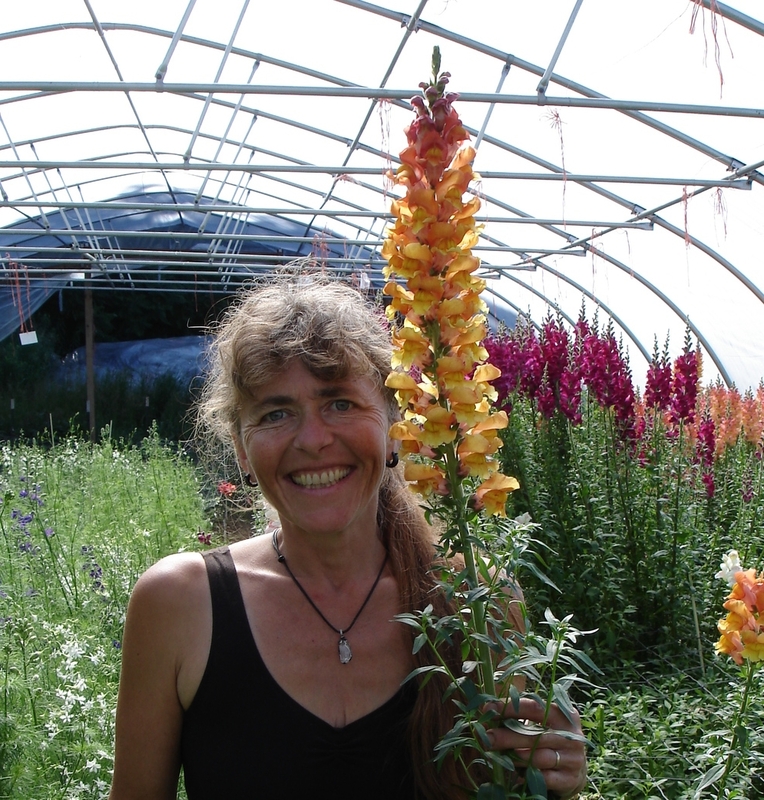 Along with her mother, Judy, she has developed the flower side of the business and she started a cut flower CSA in 2010. Her passions also include growing peppers and tending to her bee hives. It takes a special kind of person to want to work on a farm. The work is often rewarding, but anyone who has worked on a farm knows that there are many challenges that come along with it. Snug Haven is lucky to have a rotating and often returning mix of the best farm workers around. We couldn't do it without you.